-Opening credits again with Kit, ahem. -Oh my God, Bran is now older than me. -I had forgotten that Max Von Sydow was now part of GoT. Love him. 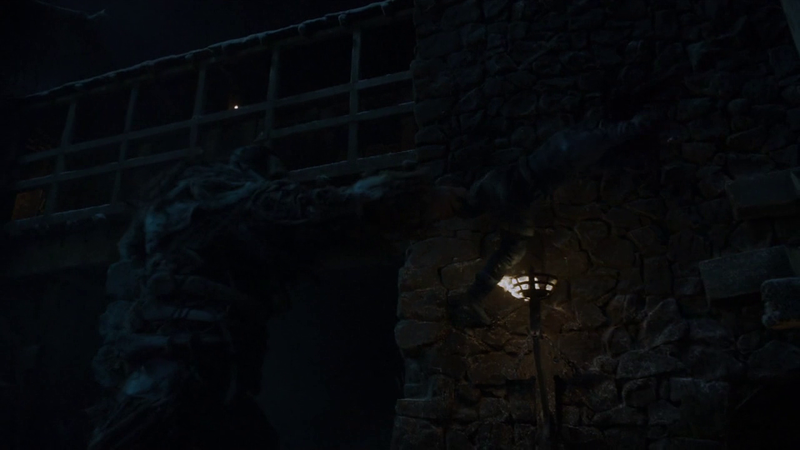 -Awww, little Ned and little Benjen! -Which reminds me, will Benjen still be alive? We’ll never know. -Baby Hodor! He speaks! His name is not Hodor! -Bran’s storyline might become one of my favourites if it’s all about pre-GoT flashbacks. I want to see Sean Bean again. -Who the hell is that weird tree lady in the snow? 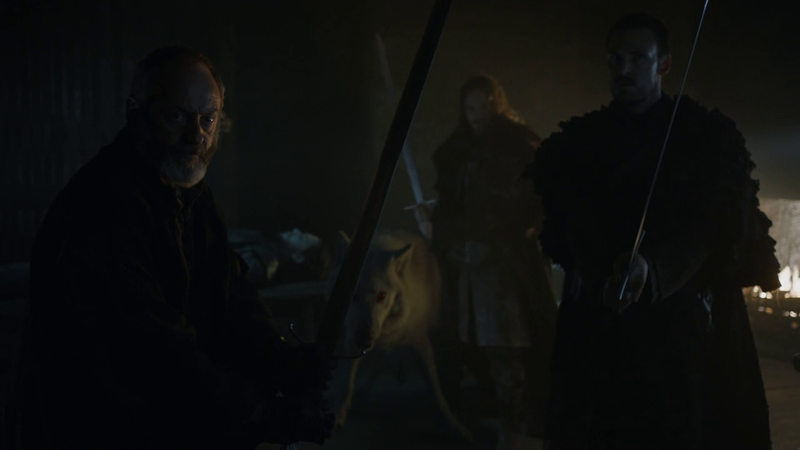 -Davos just took Longclaw. Please don’t kill Davos, show. -YAYYY!!! WUN WUN!! I knew he’d save the day (night). -That was such a cool killing –not including that time during the Battle of Castle Black when a guy got arrowed and basically jumped 100 metres due to the power of the shot. -I’m so scared of the Mountain. 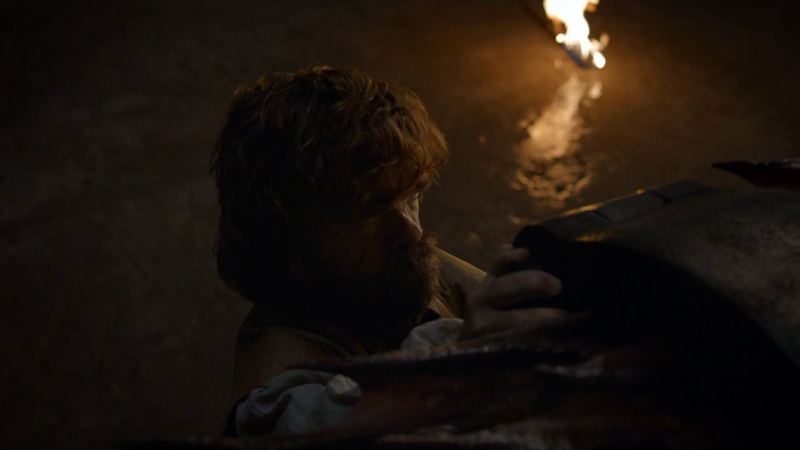 I’ll never forget what you did to Oberyn, moron. -Myrcella’s dress is gorgeous, by the way. -Ugh, please tell me they are not arresting Jaime now. 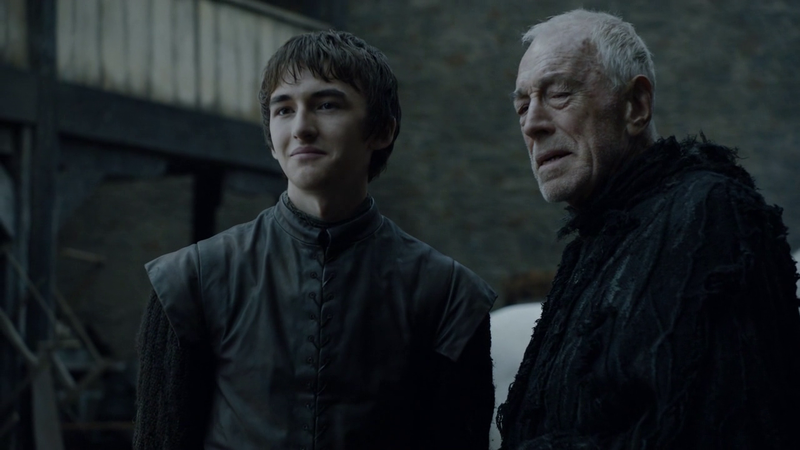 -I love Pryce, but I seriously cannot stand the High Sparrow. No one can be so sanctimonious. 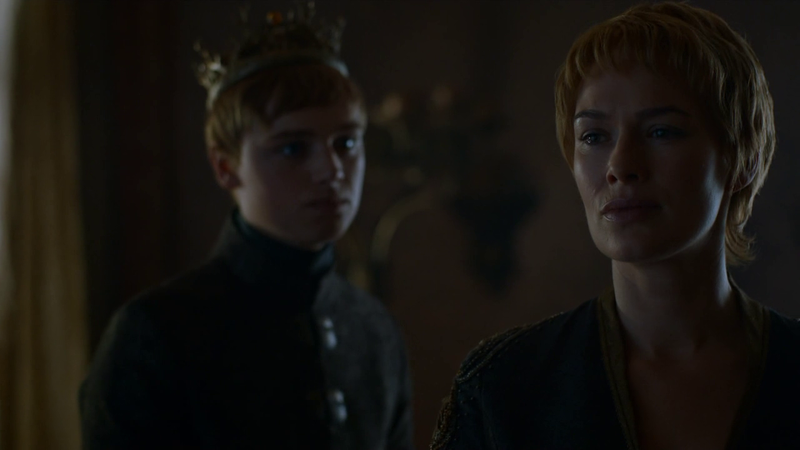 -With those haircuts, Cersei and Tommen look more than ever like mother and son. -I WOULD like to see a cat-sized dragon –like season 2 dragons, which are my favourite dragons so far on the show. -“I’m friends with your mother.” Of course they would like Tyrion. He is now the Breaker of Chains! -Argh, stop punching the blind girl like you expect her to be Daredevil! That’s just mean. -Even Lord Bolton sees killing the Lord Commander as something insane. 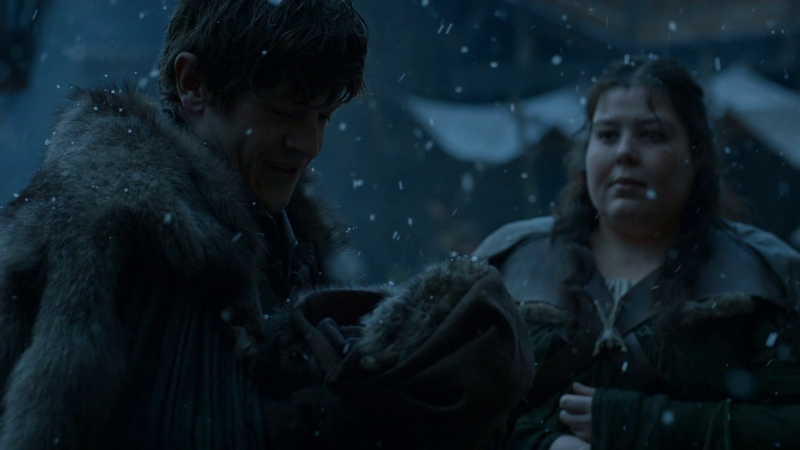 -Uhh, things are not coming up Ramsay anymore, uhuhuhuhu! -OMG Ramsay, what is wrong with you??!! 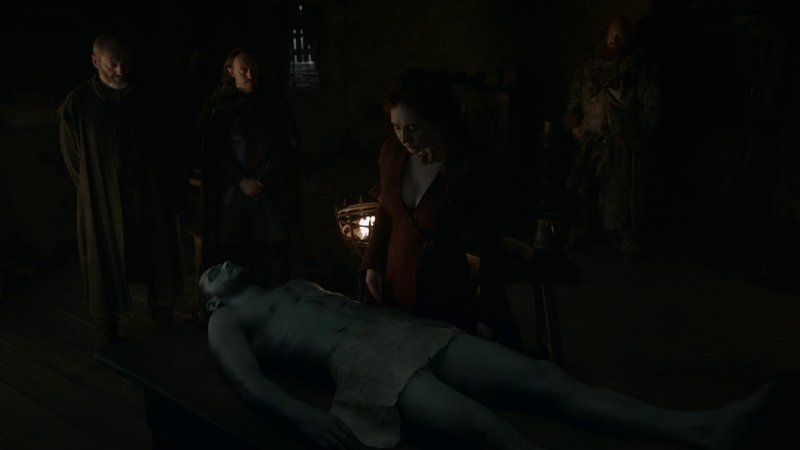 I knew the moment Lord Bolton looked sensible, he would be a goner. -I don’t want to see what I guess is coming next. -Why, why are we having to witness this?? I already knew Ramsay was nuts!!! -Walder Frey is SO not going to like this. And we all remember what happened last time he was pissed off, and that time it was only because of a rebuff –RIP half the Stark clan. -Theon is leaving? Where will he go? -Oh, to the Iron Islands? Like they’d want you there. It’s not even pretty, who’d want to go there? -Who the F is that guy on the bridge? Has he been on the show before? What is his reason to kill Balon? Should I even care? I really don’t give a toss about the Greyjoys beyond Theon. -But seriously, why are so many Lords getting killed off on this episode? -Well, Melisandre has realised that looking old is not so cool for her. -Finally this conversation is happening. -Couldn’t they cover Jon’s body with some clothes? Not that I’m complaining. -Oh, Kit, you are such a TERRIBLE liar.